Syntivia’s CEO, Philippe Bedos, was invited by the Nikkol Group to attend the Cosmetic Ingredients & Technology Exhibition CITE Japan 2017 in Yokohama. This biennial event is organized by the Federation of Japanese Cosmetic Ingredient Association and co-organized by The Society of Cosmetic Chemists of Japan (SCCJ). The 8th edition of this event focused on new developments in the Japanese cosmetics market and saw the launch of ClotholineTM , an active cosmetic ingredient developed by Syntivia and proposed by Nikkol. The CITE Japan cosmetic exhibition was created in 2003. 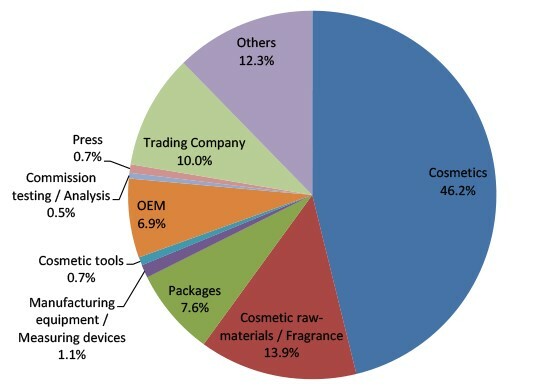 Attendees and visitors are professionals of the cosmetic field (beauty products, cosmetic ingredient manufacturers, perfume materials and magazines). The exhibition is a very important international event in a growing Japanese cosmetic market, which is the sector’s second market worldwide (CCI France-Japon). 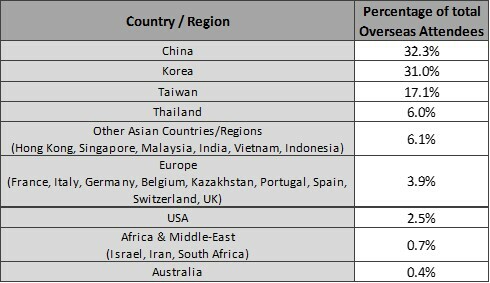 CITE Japan is considered a reference and success boosts interest from other Asian countries. « Made in France » products have an excellent image in the beauty sector and France is Japan’s main provider for cosmetic products and perfumes. 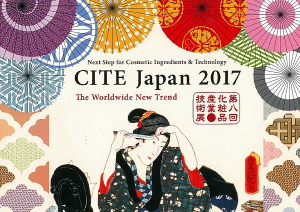 CITE Japan 2017 revealed new flourishing trends and technology for the cosmetic industry: from raw materials to cosmetic ingredients over product effectiveness to manufacturing equipment and packaging systems. 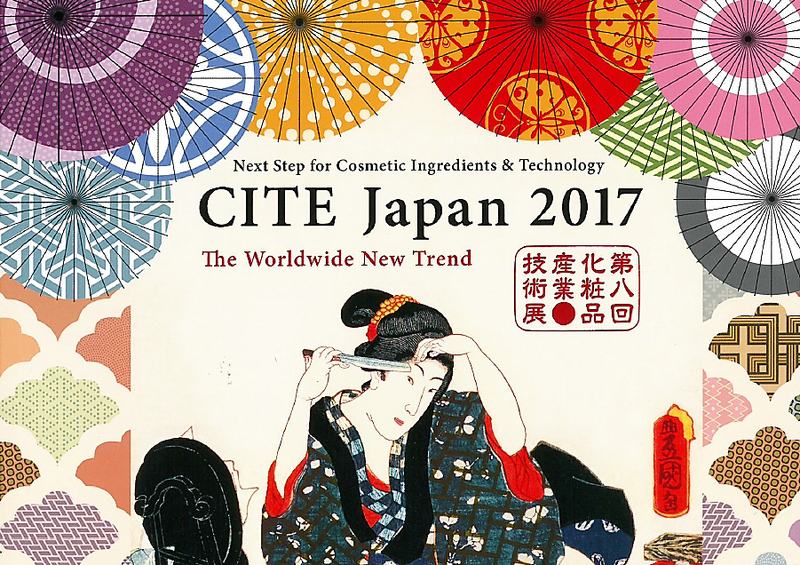 As the event initiates evolutions in the cosmetics market, CITE Japan is the place to be to learn more about changes in the field of active ingredients, research, market data, products… Innovation is at the heart of this meeting, which takes the expansion and promotion of cosmetic companies to a higher level. A wide range of cosmetic professionals, mainly from Asia but also from Europe and the USA, attended the show to exchange about the latest cosmetic trends for 2017. Backed by the success of previous editions, CITE Japan 2017 counted 16,411 attendees and a total of 38,711 visitors in 3 days. Philippe Bedos, Syntivia’s CEO, attended the event with our partners from Nikkol group in order to launch the Clotholine™ cosmetic ingredient, which was developed by the Syntivia laboratory. Dr. Shoichi Yahagi, Manager of the Research Planning Division of the Nikkol Group, brilliantly introduced Clotholine™ to the Japanese market during his conference. He focused on its activity for skin radiance and on the fact that it gives a sense of well-being to the user. Mr Bedos also reinforced Syntivia’s partnership with Nikkoderm and met with major players from the Japanese cosmetics market. 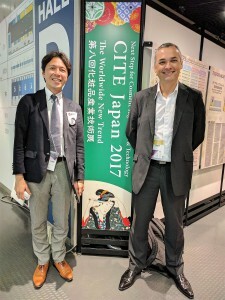 Dr. Shoichi Yahagi with Dr. Philippe Bedos at CITE Japan 2017 . After InCosmetics in London in April 2017, Syntivia continues to extend its international reach during international events on cosmetic ingredient innovation. Our expert team always aims for excellence and is constantly monitoring new processes and methods to provide the best active ingredients and test methods to our partners. 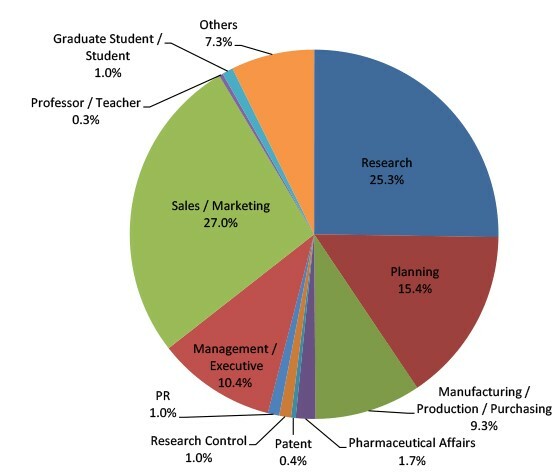 For more information on how we study cosmetic actives and develop new ingredients, please don’t hesitate to contact us.